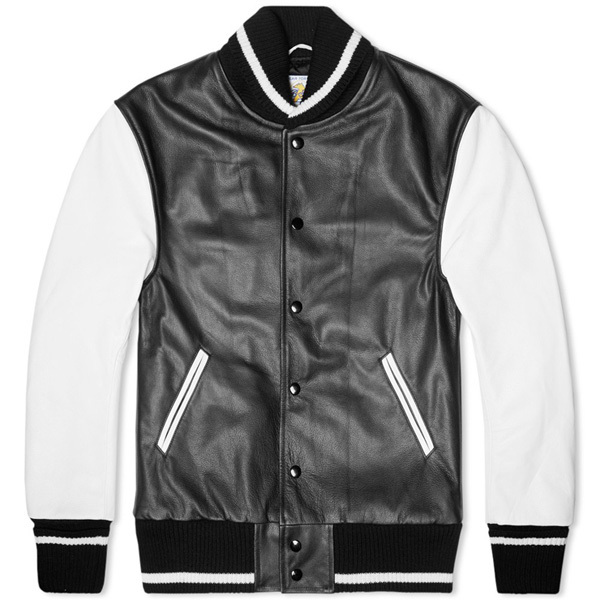 Golden Bear Sportswear offers their take on the staple piece of outerwear, the leather Varsity Jacket. Their single-stripe shawl collar version comes in a sharp black and white colorway, and features contrasting leather sleeves, Melton wool body, a fully quilted lining and welt pockets, and is finished with a ribbed collar, cuffs and hem. 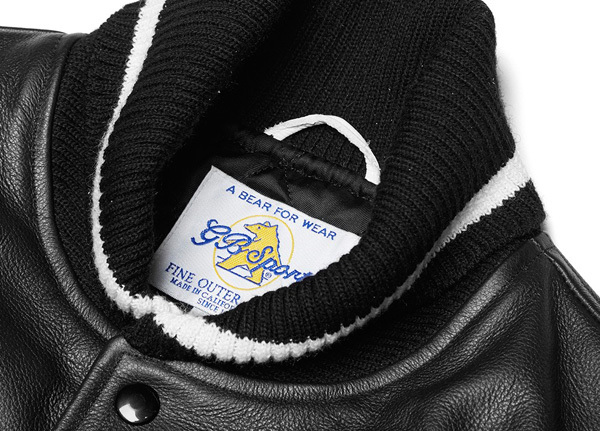 As is all of Golden Bear Sportswear’s items, the Varsity Jacket is manufacturing by hand in California. Pick it up now at END for about $1,120 (£705).